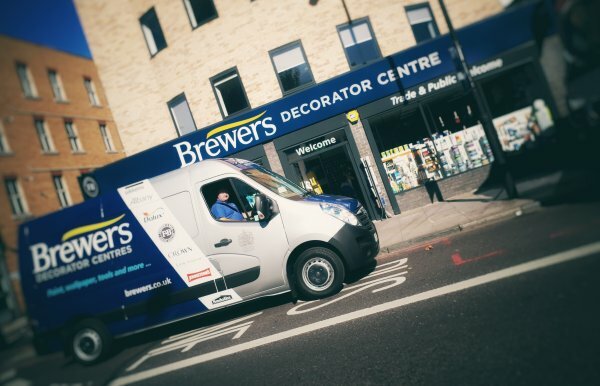 Located on Commercial Road, the new branch will stock a great range of decorating products from the likes of Dulux, Johnstones, Crown, Albany, Farrow & Ball and Little Greene alongside woodcare, wallpapers and decorating sundries. Manager Marc Miles has a wealth of experience in the decorating industry and is able to offer customers expert advice on products and problem solving solutions. Marc is looking forward to creating a relaxed and friendly atmosphere for decorators and DIYers alike. The branch is open from 5.30am to 5pm Monday to Friday and 8am to 5pm on Saturday, with parking available in front of the shop until 7am and a loading bay for use throughout the day. Brewers Aldgate will also be offering free local deliveries to your home or site. Watch the video to find out more about the Aldgate branch and meet Marc! Information correct December 2017, always check the on road signage for current details and restrictions. Find us on the right next to Sainsbury's Local if you are driving towards the city.